Groningen, the Netherlands – August 15, 2013. 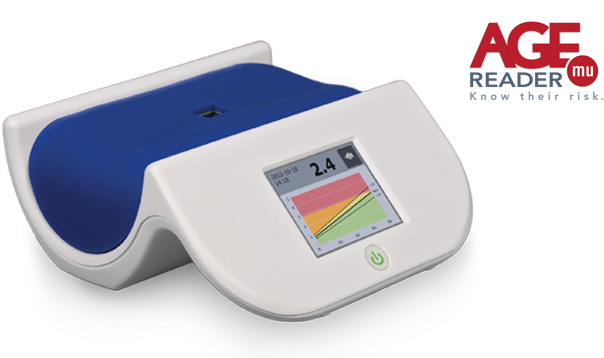 DiagnOptics will present the new AGE Reader mu at the upcoming 49th Annual Meeting of the European Association for the study of Diabetes (EASD 2013). This is also the first conference where DiagnOptics will show its completely newly designed booth. The EASD 2013 conference will take place from September 23 till September 27 at the Fira de Barcelona Gran Via exhibition centre. DiagnOptics will be present at the industrial exhibition at stand number D13 in exhibit hall 3. We welcome everybody for a demonstration of our non-invasive products to asses cardiovascular risk and risk of diabetes. Please visit our booth and receive a special introduction offer for visitors of the EASD 2013 conference only.